In a recent episode of The Edtech Take Out, Mindy and I did something we have wanted to do for a long time. We interviewed some instructional coaches from the schools we work with in order to get their take on what it is like to do what they do. It was a great conversation so I wanted to share it here as an example of some of the amazing things that are happening in classrooms near me. The role of an instructional coach is increasingly important in Iowa schools right now. We have more coaches now than ever before because the state has provided funds to help schools build capacity to succeed with a coaching model both now and in the future. I know other states are also making good use of instructional coaches so the conversation we had is relevant to educators everywhere. What are the best things about being an instructional coach? What are the big rocks or challenges that you are looking to tackle this year? What tools, technologies and ideas are popular with teachers in your districts? What advice would you give to those who are new to the role of coaching? 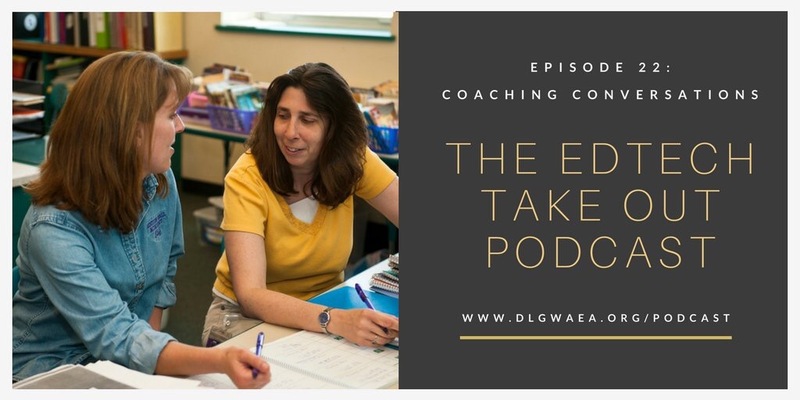 You can listen to their replies, along with the rest of the episode by visiting the Edtech Take Out podcast website, or by subscribing to the podcast on iTunes or Google Play Music. How to Listen to Podcasts on Every Device!